Our client asked us to visualise a new software product that takes makes processing large data sets easier. The technology is cutting edge, so we pitched having actors interface with Minority Report-style computer screens. This meant a green screen production, where you film against a bright green screen and replace this with graphics in post production. 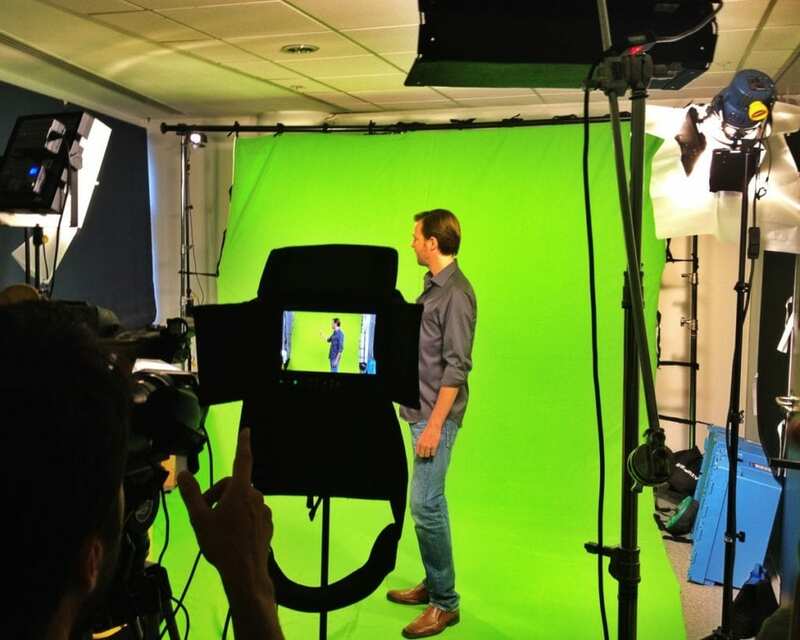 As we don’t require sound, we set the studio up in one of our meeting rooms! We worked with four actors who did a great job imagining the screens in front of them. They thoroughly convinced us that they were operating some very sophisticated technology by the end of the shoot!